Business Gamification in the UK? The idea of adding game elements to business management – call it gamification – has begun to gain traction in the United States in the past few years. How is it playing in the UK? Our Manchester-based partner, There Be Giants, sought to answer the question at a recent gathering of technology and business leaders. Roger Longden led the event that featured Sandy Lindsay, MBE, of Tangerine Group, Ryan Cheyne from Rentalcars.com, Paul Barnes, MD of My Accountancy Place and Richard Wood of Six & Flow. Another partner of ours, Brett Knowles of pm2 Consulting, also joined the conversation. Knowles has consulted for tech titans, such as Google, Apple and Facebook. He’s been a pioneering proponent of gamification at the workplace. Most of the panelists saw the benefits of using gamification within certain business processes, such as sales and to improve customer service. 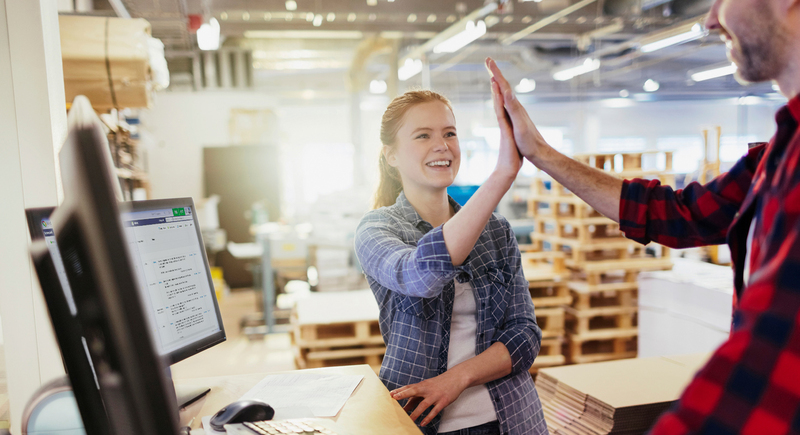 Everyone seemed to like the idea of awarding points to employees, partners and customers who engage in activities that tie closest to the highest-priority business goals. Some panelists cautioned that gamification would be less effective in certain areas of the business, such as Marketing, and that often the company culture would dictate the broadness of its success. A software platform, like MyObjectives, could be effective because it gives teams the ability to manage their scorecards within an organization. Only the teams that benefit from scorecards use them. Longden said that the five principles that underpin gamification –– purpose, mastery, progress, autonomy and connection – really resonated with the business leaders. Online gaming, Knowles says, is addictive. So is instant feedback. Humans like to be rewarded in the short term when they do something good at work. That’s what happens when gamification platforms are used. “This is not the first time we have seen game mechanics applied to managing businesses, think of loyalty cards and air miles in the consumer marketplace,” Knowles said. Though differing opinions emerged about how to inject gamification into the workplace, most of the panel agreed that it was an interesting idea worth pursuing.